Our demo was featured in the Northwestern YouTube channel! You can see me presenting and demonstrating how the system worked on site. 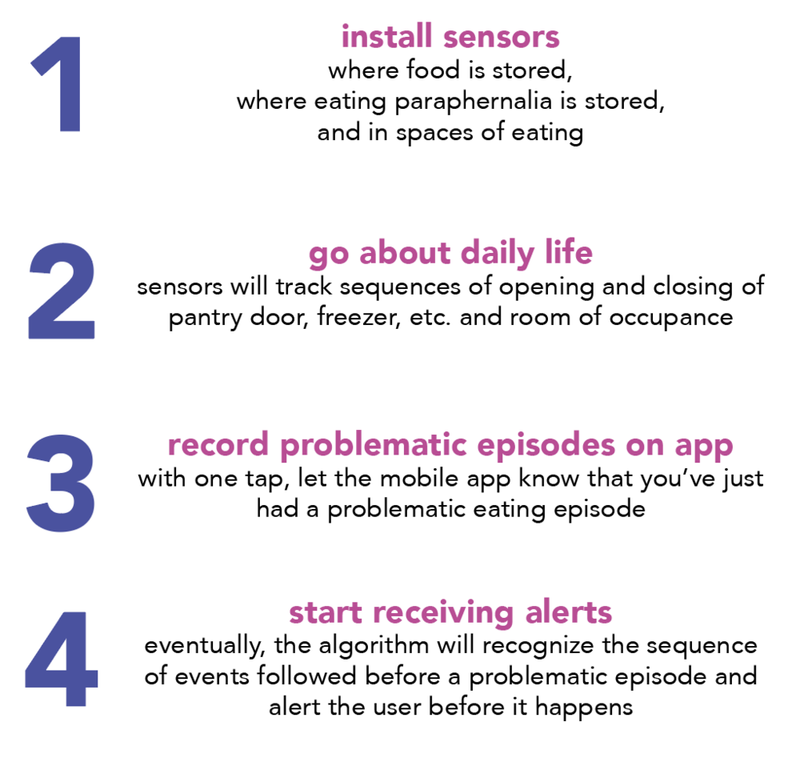 We created a system of commercially available passive sensors that would make patterns of behavior related to problematic eating episodes visible for individuals with eating disorders in order to create behavioral change. This system was created in collaboration with Siddharth Muthukumaran and YiJie (Ian) Wu, students at Northwestern University, funded by the HABits (Health Aware Bits) Lab, as part of an mHealth course taught by Dr. Alshurafa. This poster was presented at the Designing for Curiosity workshop at CHI 2017. Our system will identify the patient’s patterns over time and through supervised learning, eventually predict problematic eating episodes before they occur. Once patterns in problematic behavior are exposed, how can we facilitate curiosity, allow the patient to reflect on causes and effects of their lifestyle, and create an effective behavioral intervention? Presented at the Designing for Curiosity workshop at CHI 2017 in Denver, CO.
Click here for the extended abstract and here to download the poster.